Posted August 29, 2014 by laurielmorrison & filed under Young Adult Literature. Last June, a voracious seventh grade reader who mostly reads fantasy novels finished The Fault in Our Stars and lay down on the dirty floor of my classroom. She informed me that she had loved the book, but it had completely destroyed her and she was never going to recover (or something similarly dramatic). She needed a book that would make her feel good. I could have encouraged her to find comfort in one of her favorite books, like The Girl Who Circumnavigated Fairyland in a Ship of Her Own Making or anything by Terry Pratchett. But I decided it would be great if I could hand her a layered, smart, light contemporary YA novel that she could happily lose herself in. Granted, students hadn’t cleaned out their lockers yet, so a lot of books from my classroom library were still checked out. But it took me a while to come up with a good option for her. I laughed out loud when I read that, because I often feel similarly thankful when I discover a well done light YA book. Don’t get me wrong: I love sad, dark stories, too. But like my student who was heartbroken over The Fault in Our Stars, I need some balance in what I read. When I read a lot of contemporary YA with devastating deaths and heartbreaking circumstances, I begin to crave something fun. But the thing is, by “fun” and “light” YA, I don’t mean simple or superficial. Light books can still feature characters with complex backstories who confront difficult feelings and face big challenges. But there’s something about the tone of light YA books that lets readers relax a little and feel pretty certain that everything will work out okay and nothing over-the-top devastating will happen during the book (although the characters might be recovering from devastating things that happened before the book starts). Sarah Dessen is a master at creating comforting and fun, but still rich and complex, YA novels. I especially love The Truth about Forever and Along for the Ride—both summer novels that feature type-A girls who have to learn to let go of some of their control. In addition, here are some new contemporary YA books that are layered, smart, and also light. 1.) and 2.) 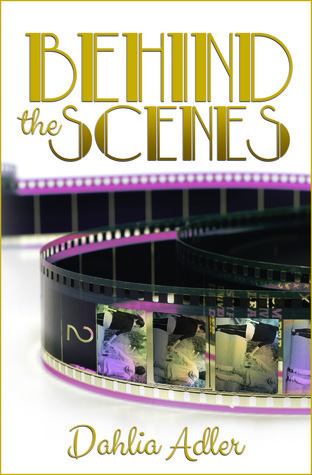 Let’s start with the two books that got me thinking about this topic, Behind the Scenes by Dahlia Adler and Just Like the Movies by Kelly Fiore. These two novels share a focus on Hollywood. The main character in Behind the Scenes gets a job as an assistant on a TV set because she needs money for college after her dad is diagnosed with cancer, and the two main characters in Just Like the Movies decide to use strategies from their favorite romantic comedies to improve their own love lives. 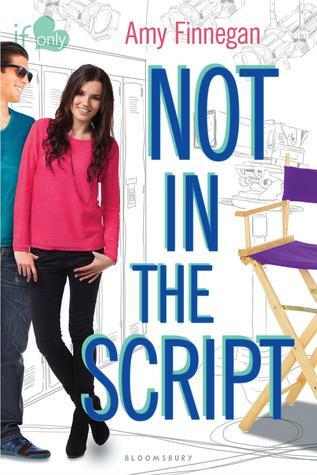 These characters have complex backstories and are dealing with real challenges (especially Ally in Behind the Scenes and Lily in Just Like the Movies), but their stories are romantic, mostly lighthearted, and just plain fun. I happily tore through both this summer. 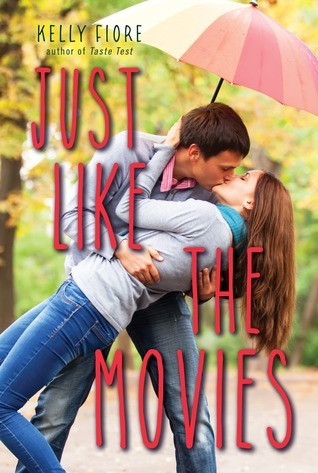 Just Like the Movies is fairly innocent while Behind the Scenes feels a little older and sexier in its tone…which is great! We need both kinds of stories. 4.) 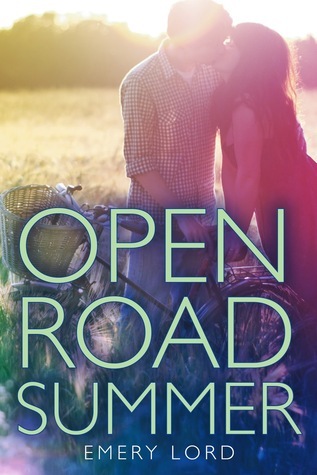 And then shifting from Hollywood to the music industry, another great new book is Open Road Summer by Emery Lord. After a rough year, Reagan goes out on the road with her best friend, a country music superstar. Reagan is vulnerable, self-protective, and flawed but also loyal, smart, and brave. I like that Reagan is emerging from a dark place, so she is a layered character who has endured a lot and grown up fast, but readers are spending time with her when she is in a more hopeful place, and therefore the tone of the story feels lighter than it would if the book had taken place a few months earlier in Reagan’s life. The book has a fabulous romance, but it also focuses on the strong, fun relationship between Reagan and her best friend. 5.) and 6.) The last two books on my list also feature both satisfying romances and complex, important female friendships. 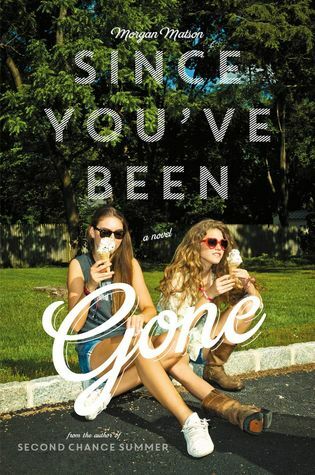 Since You’ve Been Gone, by Morgan Matson, starts after Emily’s charismatic best friend, Sloane, disappears, leaving only a to-do list full of things Emily can’t imagine doing. 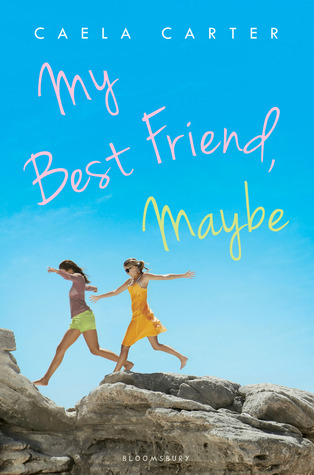 And at the beginning of My Best Friend, Maybe, by Caela Carter, Colette’s estranged friend, Sadie, asks Coley to come along on a trip to Greece, claiming that she needs Coley to be there with her. Both of these novels have excellent character development, feature fun summer adventures, and address some interesting big ideas, like how friendships shift as people grow up. Any other light contemporary YA you’d recommend? Any lighthearted realistic YA books that are more targeted toward an audience of boys? I’d love to hear any input. Thanks, Dahlia! I actually haven’t read any of those, although I’ve heard good things about all of them. I’ll have to bump them higher in my TBR pile! And thanks, also, for all of the great stuff on your blog. I came across it when I was looking up the etiquette of what to do when you have an offer of rep and your MS/query is out with other agents. It was hugely helpful then, and I’ve been enjoying it ever since! Oh, Laurie! I needed this post. I was wondering about this very topic, since a teen I know has been asking me for suggestions (she also was gutted by The Fault in Our Stars), and all I could do was shrug my shoulders. Soooooo glad you have this great list. I totally want to read Dahlia’s book. That’s right up my alley! I’m also glad to know Morgan Matson has a new book out or coming out. I remember back in the day when Meg Cabot was the queen of light contemporary YA. Sarah Beth Durst had ENCHANTED IVY, but that’s a few years old. She’s gone darker of late. Anyway, I totally want all of the books on your list (and I CANNOT WAIT for yours). Thanks, Linda! So glad this list is helpful, and thanks for reading and for your support, as always! What a gold mine this post is. Thank you, Thank You, THANK YOU!! I’ve been looking for light with depth YAs forever. Laurie, you’re an angel!! I just ordered 7 books and preordered 1. I cannot wait until they get here!! So glad to hear this, Sandra! Yay, Sandra!!! I want these books too! Laurie, sometimes as an author of light YA, I wonder if any of my books will ever be considered as “important,” but I love how you proved with your opening story that books like these really ARE needed. On a related note, I’ve been sick today, for the first time in forever, and was looking through my DVDs for a movie to watch and I kept thinking, “No, no, too serious. Too sad. I don’t want to cry. I need something to make me laugh because I feel miserable.” And that’s when I thought of your post again, which perfectly reflected my thoughts about needing a funny movie. There is room for every kind of read on the shelves. Thanks again for your excellent insight! And it means the world to me that you included NOT IN THE SCRIPT!! Hi Amy, you’re so right! We need all kinds of movies, just as we need all kinds of books. And when I’m not feeling well (or just tired or in need of a laugh), I’m very grateful for lighthearted movies and TV shows, just as I’m grateful for well done light YA. Thanks for commenting, and I hope you feel better! Amy, as a reader, I think your books ARE important. You fill a much needed niche. Keep writing them!